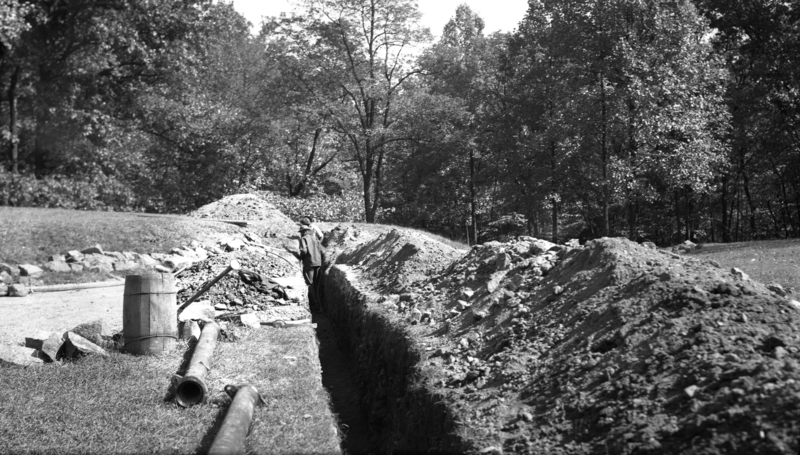 A water line being constructed to Spangler’s Spring in 1937 by the Civilian Conservation Corps.This view is courtesy of the Center for Civil War Photography, which has more than 1,000 historic Gettysburg Park images like these on their Flickr. You can also visit their store. Licensed Battlefield Guide Garry Adelman explains what happened at Spangler’s Spring after a prolonged drought in the 1930s.This video was taken on Saturday, September 3, 2016. Visit Garry Adelman’s Civil War Facebook page. 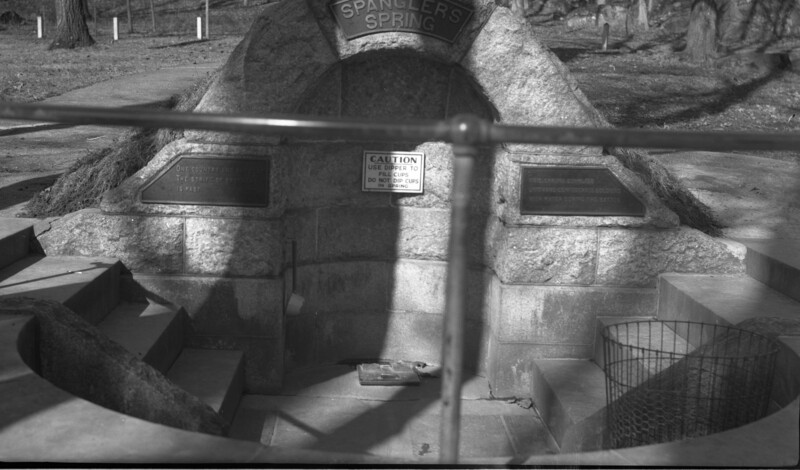 In Monday’s post on Spangler’s Spring, we forgot to include this photograph of the dipper and dipper sign.This view is courtesy of the Center for Civil War Photography, which has more than 1,000 historic Gettysburg Park images like these on their Flickr. You can also visit their store.